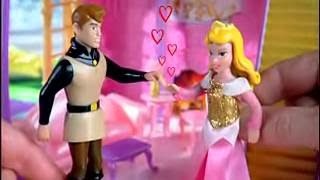 This is a blog about princesses, and part of raising a little princess is finding things that she will enjoy and treasure, and perhaps remember forever. I'm not selling anything here, and I won't make a penny if you buy this. I'm just bringing some ideas to your attention when you feel like getting something for your little princess. 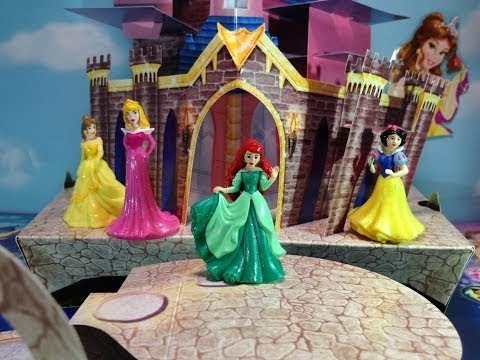 The Disney Princess Pop-Up Magic Castle Game from Hasbro is just such a game. It is full of colorful castles and images of the princesses, good role models for young girls and exactly the sort of thing we all probably remember fondly from our own childhoods. You get to play as either Aurora from "Sleeping Beauty," Snow White, Belle from "Beauty and the Beast" or Ariel from "The Little Mermaid." 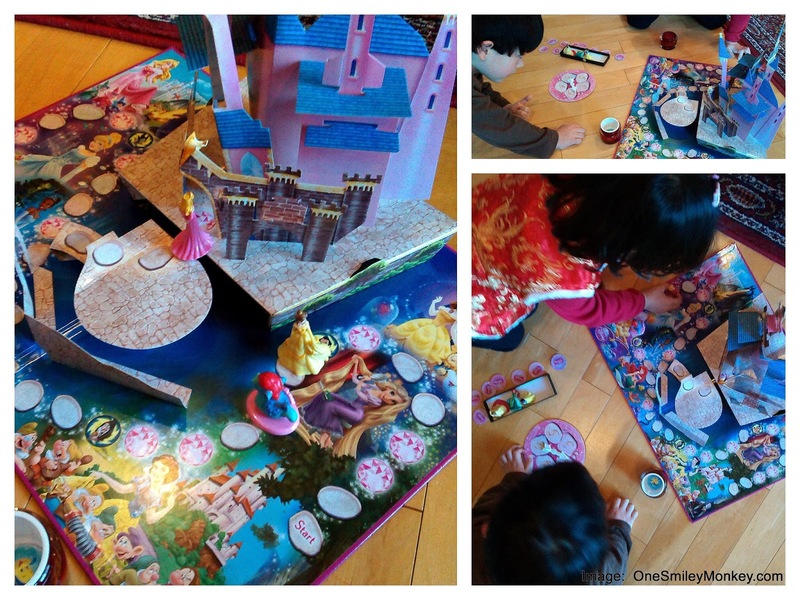 You use the spinner to move your princess around the board. There are magic gemstones along the way, and if they match your princess, you move ahead even farther! The object is to be the first to get to the castle, but the journey is the fun part. 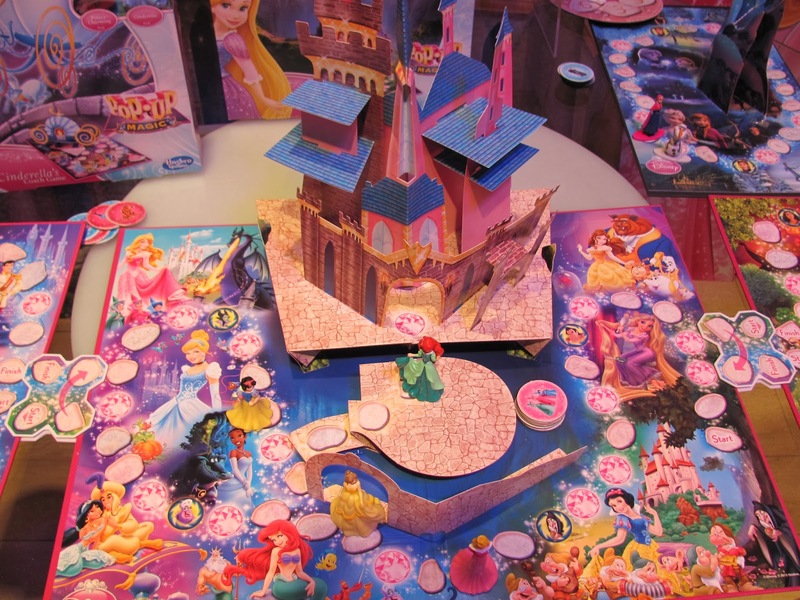 There are even two other versions of the game board: Hasbro makes the Disney Princess Pop-Up Magic Tangled Game and Disney Princess Pop-Up Magic Cinderella's Coach Game that can connect with the original board game. So, if your princess and her friends like this one, there are chances to expand the fun even further! We all know that we live in an age of video games and cell-phone games and computer games and all that - and those are fine. 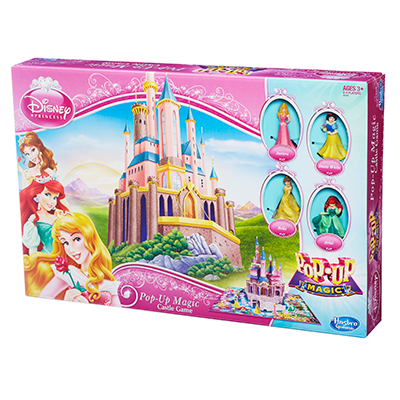 However, this Disney Princess Pop-Up Magic Castle Game will allow you to spend time with your precious princess on family nights, and also allow her to practice with her friends so that she can teach you something about princesses!